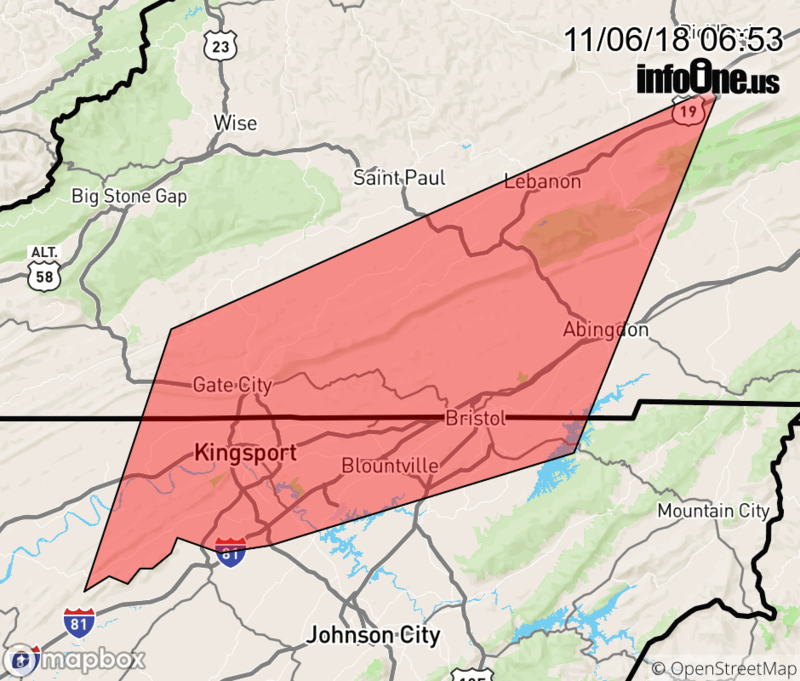 At 610 AM EST, Doppler radar was tracking strong thunderstorms along a line extending from near Gate City to 7 miles southeast of Surgoinsville. Movement was east at 65 mph. Kingsport, Bristol Tn, Bristol Va, Abingdon, Lebanon, Gate City, Weber City, Colonial Heights, Walnut Hill, Spurgeon, Church Hill, Mount Carmel, Nickelsville, Rosedale, Sullivan Gardens, Collingwood, Hansonville, Tri-City Airport, Blountville and Bays Mountain Park.